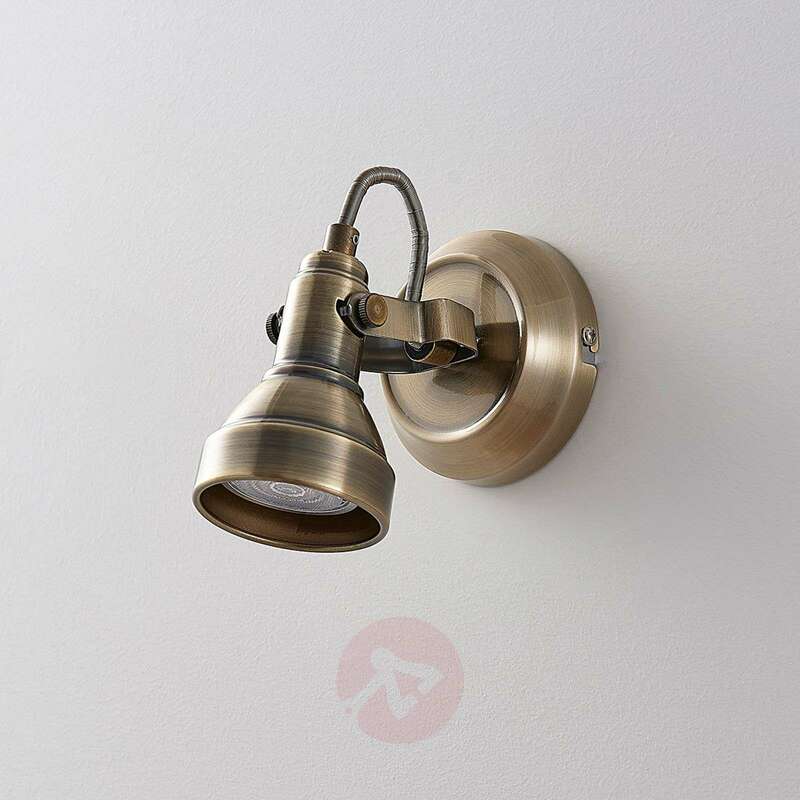 The Perseas wall spotlight combines an antique-looking surface with the latest standards in lighting technology. 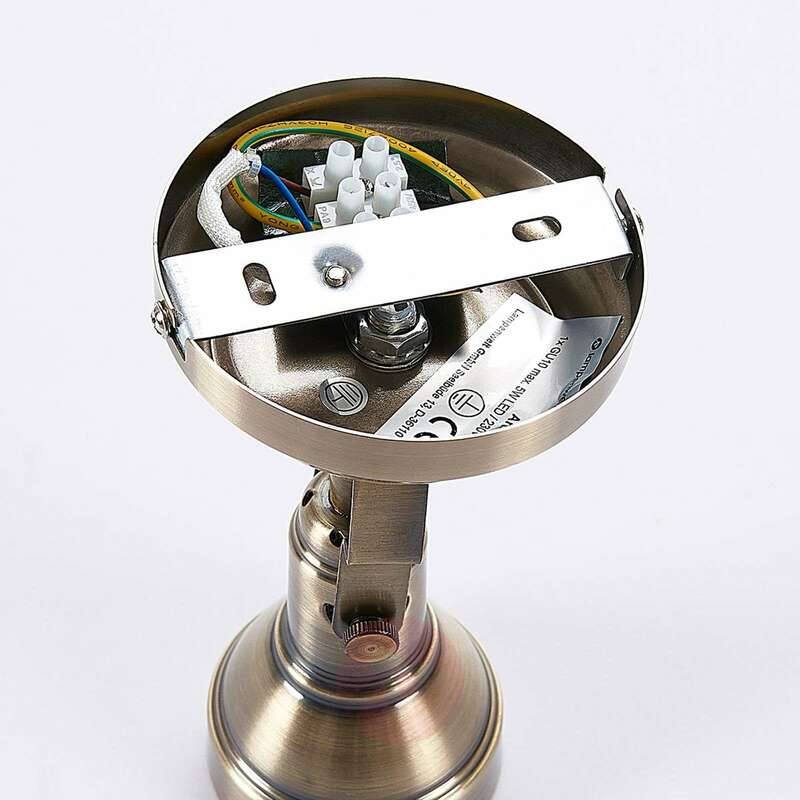 This allows for classic environments to be illuminated in an attractive manner without greatly worrying about power consumption. 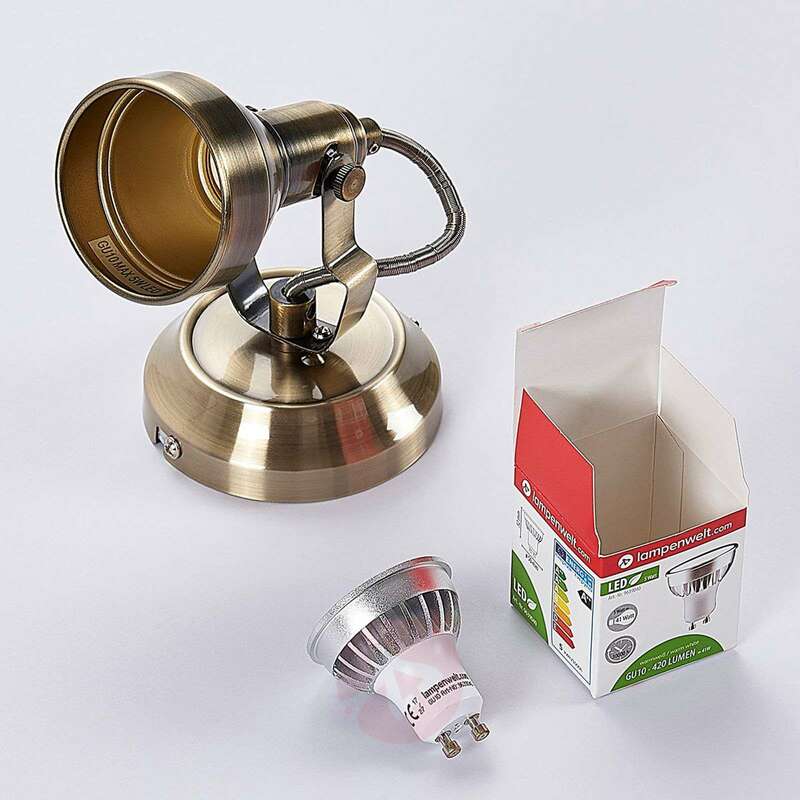 Namely includes an energy-saving LED lamp with a GU10 socket. 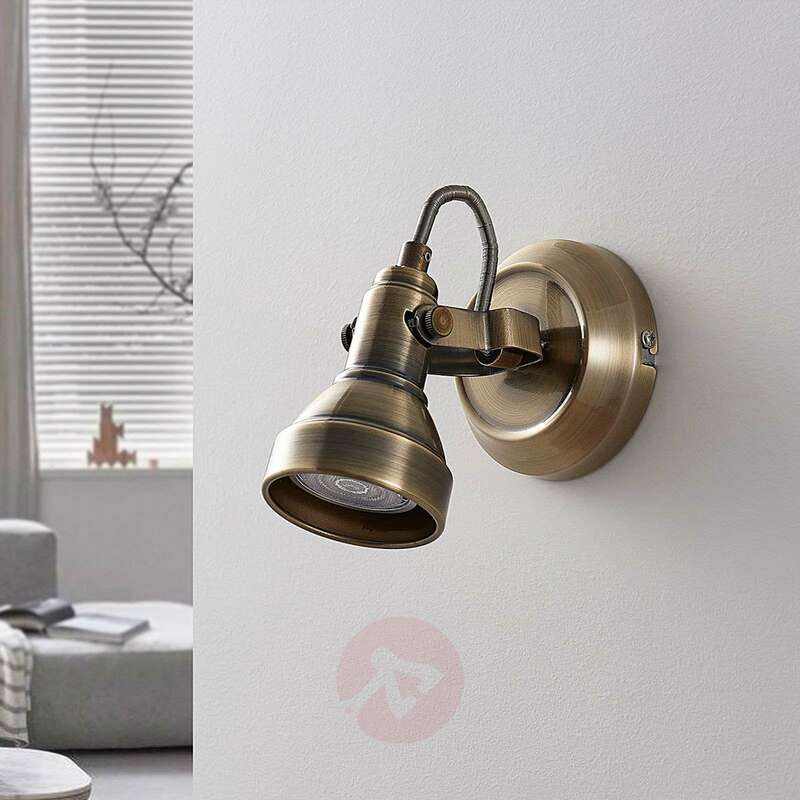 In addition to wall installation, it is also possible to use Perseas as a ceiling light. 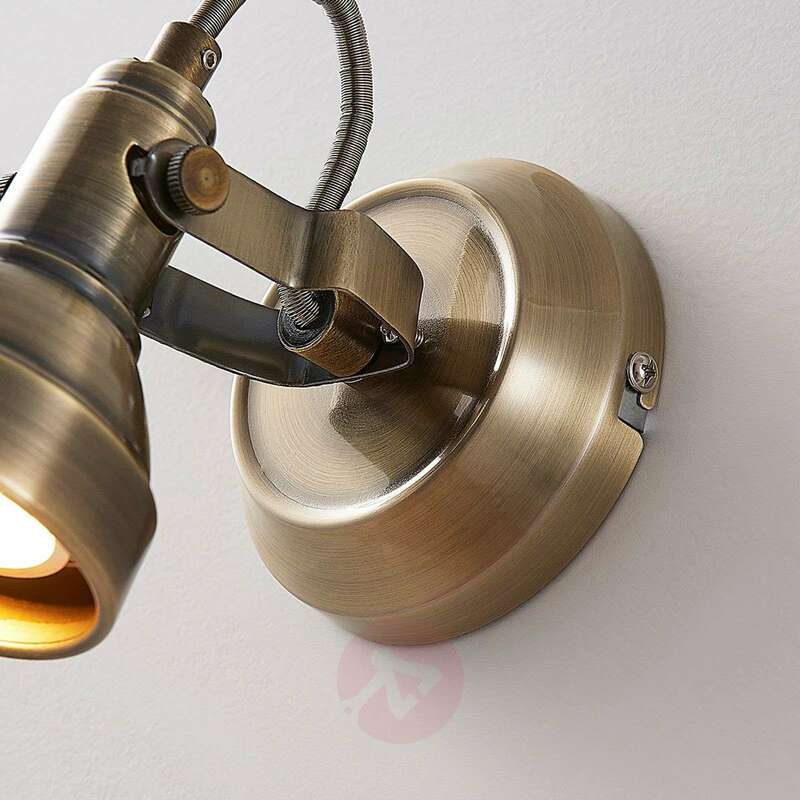 Is this spot light dimmable? 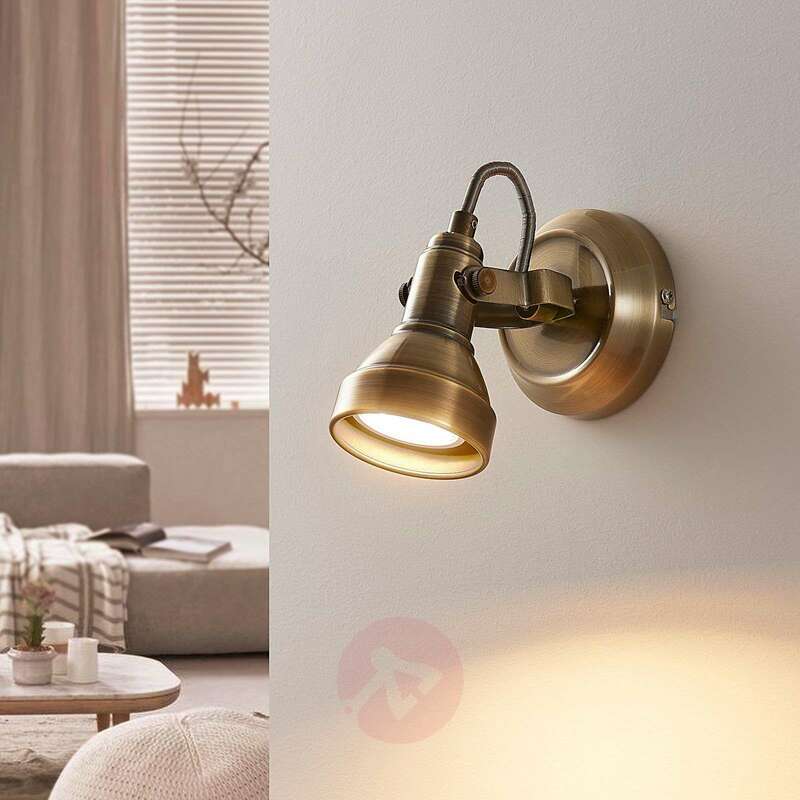 If you replace the light bulb with a dimmable GU10 light bulb, you will be able to operate the spot light as a dimmable light in conjunction with an external wall dimmer switch (not included). 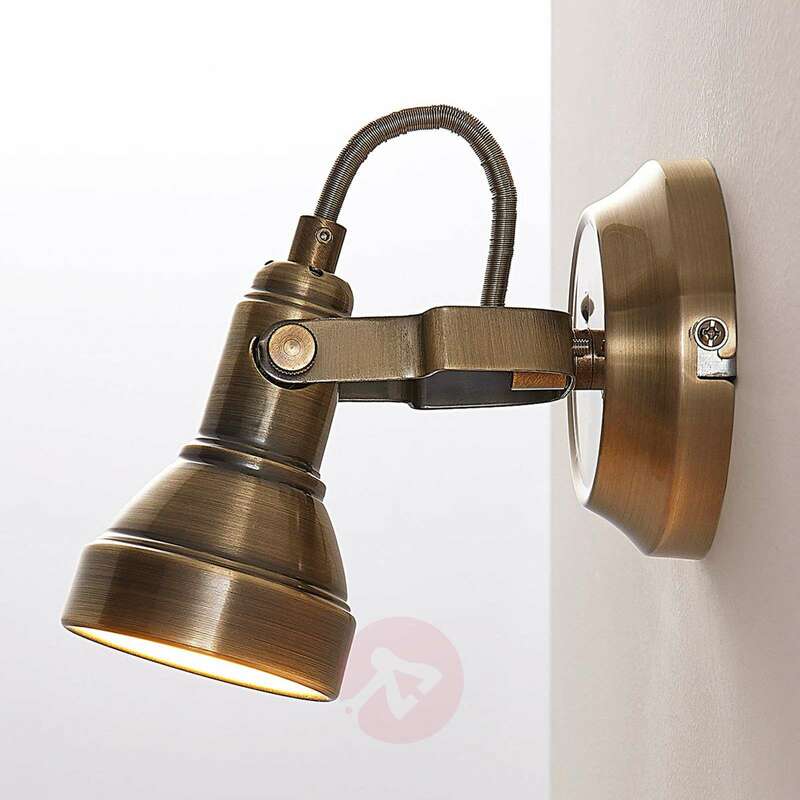 I like the Perseas LED wall spotlight, antique brass No. 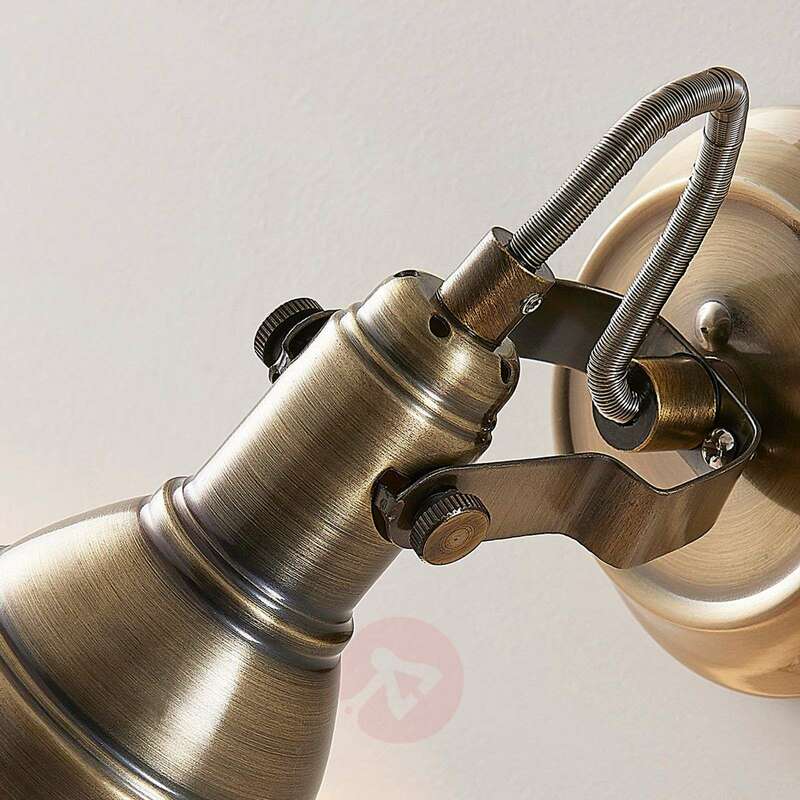 : 9620243 but can't see a switch on it; does it have a switch? 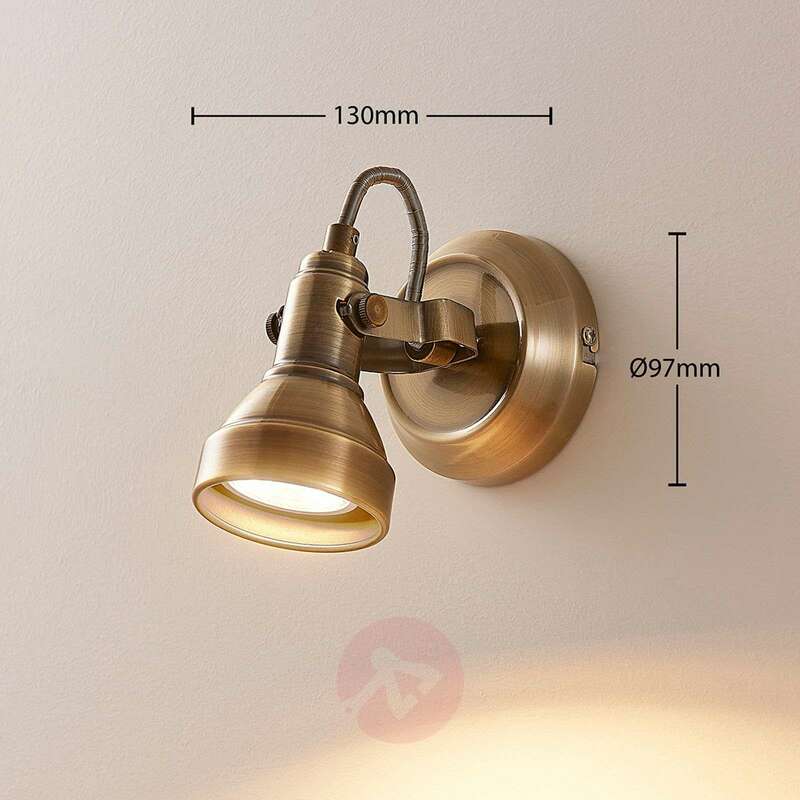 Please note that the wall light does not have an external light switch fitted to the mounting plate.